What’s more special than your child’s birthday? Parents pull out all the stops for their child’s big day and it’s just the right occasion for these beautifully made birthday crowns. 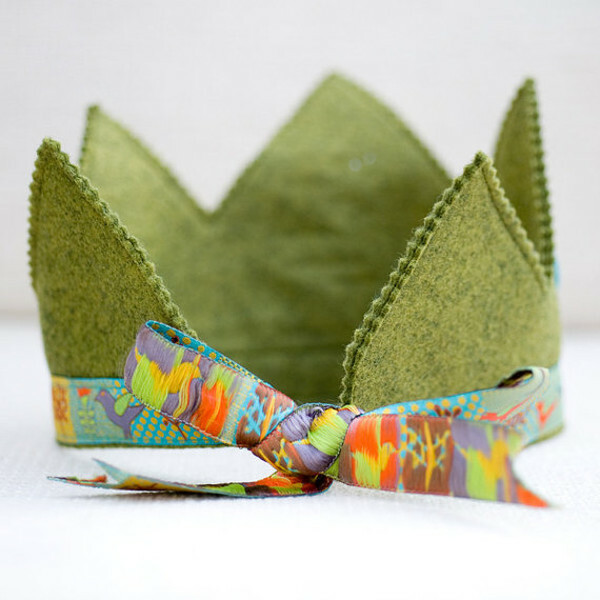 Etsy seller Jes Mosey makes birthdays magical with her marvellous crown creations. 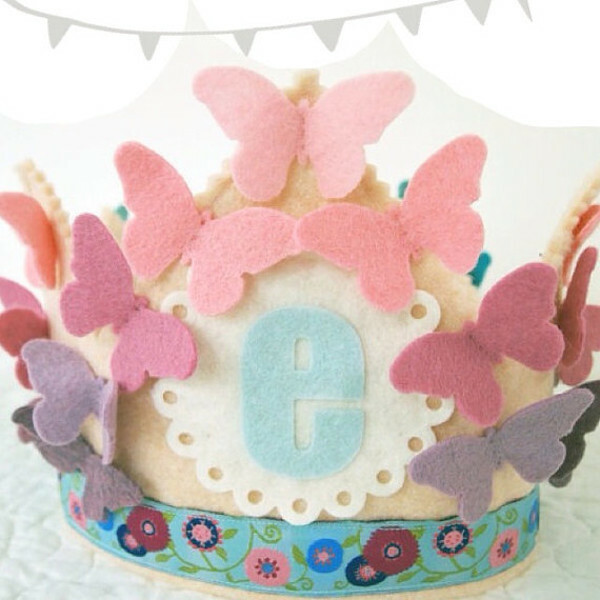 Handmade from heirloom quality wool felt, these birthday crowns are durable enough to last the rigours of a busy birthday party. Mosey has some outstanding designs to chose from and personalisation is easy. 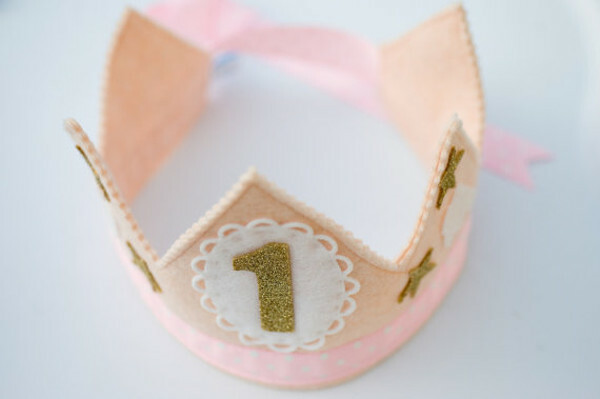 My favourite is the pretty ombre butterfly birthday crown for girls. Covered in twenty pink, purple and blue butterflies, it sells for $42. 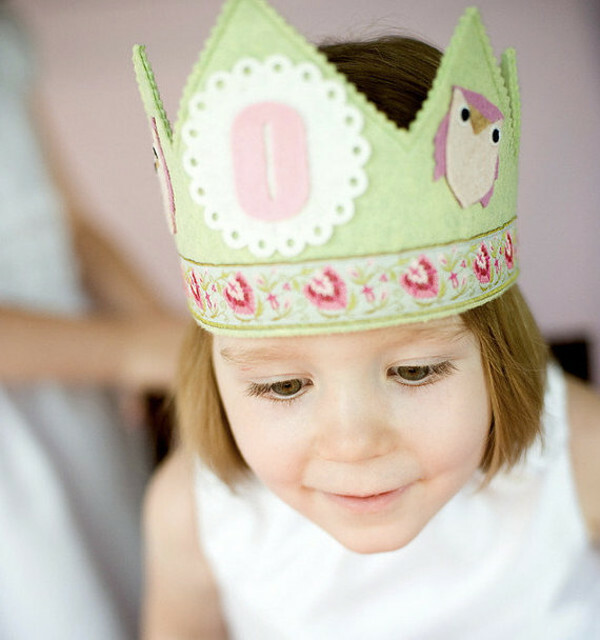 The owl birthday crown has a woodland theme and comes in pretty shades of green and pink for $35.50. 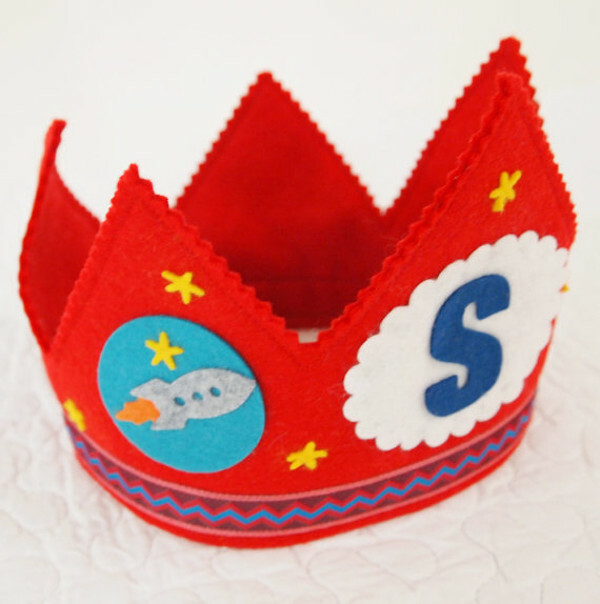 For boys, there’s the bright red space and train themed crowns for $35.50 each. And for the all-important first birthday, there are some folksy style unisex designs to chose from. The Little Birds in Flight crown has two sweet birds on either side of the number one while Glitter crown is full of stars and clouds. Mosey’s birthday crowns are finished off in true quality with a woven ribbon that secures at the back, ensuring they fit your child for years to come. And of course, they make excellent birthday milestones or keepsakes to treasure. Mosey takes custom orders and also makes other fun birthday accessories such as bunting, banners and cupcake toppers. Mosey ships internationally from her Etsy shop in the US.